In collaboration with Ricardo O’Nascimento, commissioned by LABoral Centro de Arte y Creación Industrial. 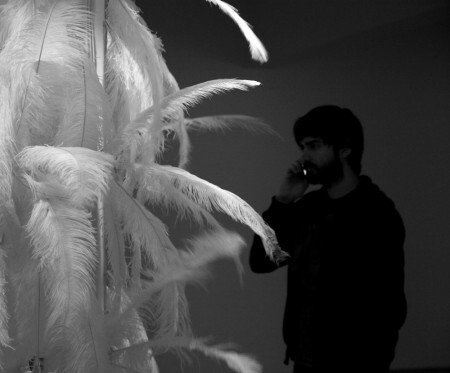 Feather Tales II is a responsive environment that arose from an imaginary scenario in which a secretive dialogue between electromagnetic waves and their material surroundings become vaguely visible, thus captivating. 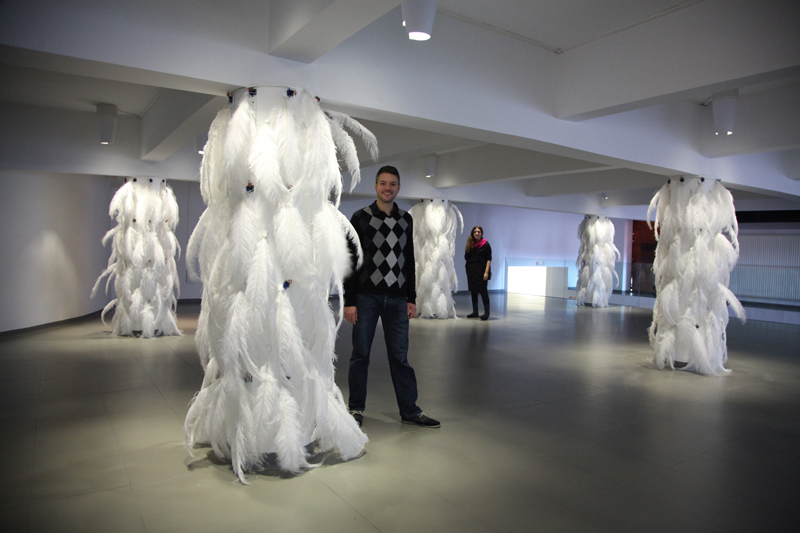 The installation is composed of 200 reactive units that hold 1000 white ostrich feathers distributed in the Sala Nueva of LABoral. Each reactive unit includes an electromagnetic signal sensor, a processor, a servo motor and movable feathers. When a signal is detected in the proximity of a sensor, the feathers start to flicker and move accordingly. The units are sensitive to a variety of frequencies ranging from mobile telephony to WiFi and bluetooth. Hence, the visitors are provided with the chance to interact with the environment using their personal devices. © 2013 ebru kurbak. All Rights Reserved.